As the year comes to an end the health centre continues to move on in providing health care for the rural poor. 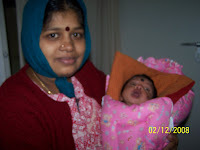 Subhadra, delivered a baby after 07 years of marriage. The look on her face says it all. You could not have asked for a more proud set of parents. 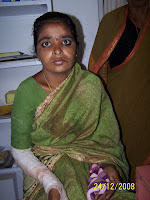 Apuramu is 24 years and suffers from Epilepsy. The plaster cast on her left arm bears testimony to an injury sustained during an epileptic attack. She is 04 months pregnant and is under our care. We are hoping that her epilepsy will be controlled so that she can have a normal conception and delivery.